Changing something that works isn’t easy. Case in point, the Porsche 911. Roughly every seven years Porsche’s iconic nameplate gets reincarnated, becoming more modern, powerful and efficient with each redesign. Now in its seventh generation, the two-door sports car has come to symbolize the very essence of what the brand stands for. It’s not just a Porsche, it’s the Porsche. With the latest 911, the 991, beginning to arrive in showrooms around the U.S., I wanted to get an in-person look at the new Carrera S to see if the changes to the exterior and interior resulted in success or failure. When compared to its predecessor, the 997, the 991 is .20 inches shorter in overall height, .98 inches longer and has a wider track than the previous generation. Those figures might seem unsubstantial, and they are, especially when the wheelbase has grown by 3.90 inches. The expanded wheelbase is immediately noticeable, giving the car a lower, sleeker stance. A longer car might seem like a waste of raw materials to many people, but it’s actually a good thing. Increasing the wheelbase enables the 991 to have a lower center of gravity, this in-turn, gives the vehicle better stability and control at high speeds. And with a top speed of 188 miles per hour, or 187 miles per hour with the brands seven-speed Doppelkupplungsgetriebe (PDK) transmission, you’ll be thanking the engineers for the improvement. The interior has changed just as much as the exterior. 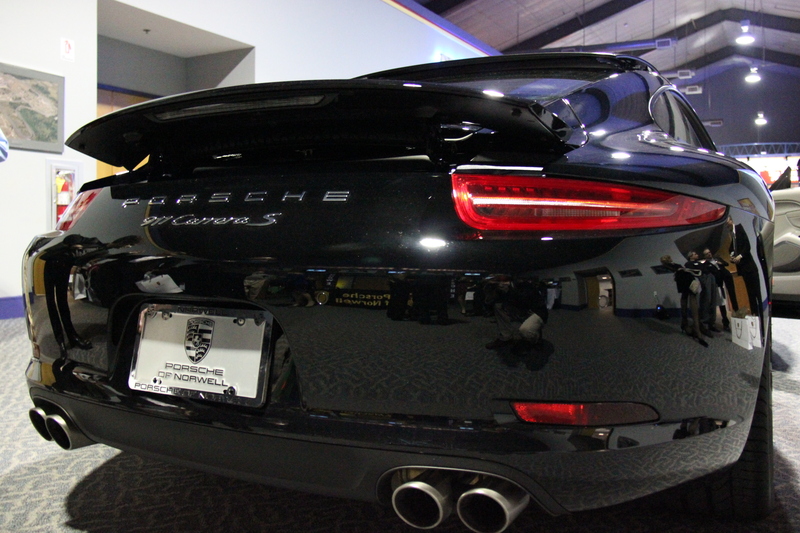 But once again, Porsche has been careful to preserve the overall feel and appearance, consistent with all 911 models. Upon entering the passenger cabin the center console instantly grabs your attention. With a sloped figure that leads up to the bottom of the center dash it strongly resembles the center console in the four-door Panamera. 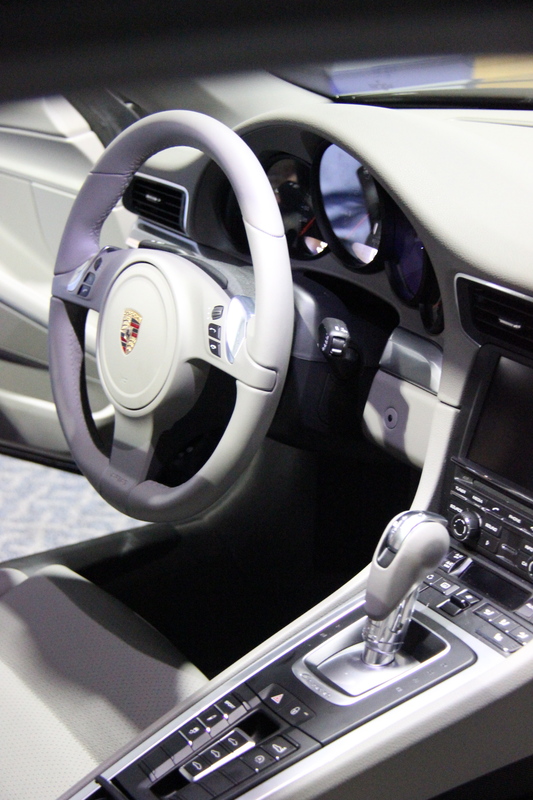 Within the center are a number of controls, all clustered together below the PDK gear selector. Of the two 991 Carrera S’ in attendance both were equipped with the aforementioned PDK, not the seven-speed manual I was hoping for. Besides the center console much of the interior has stayed true to form. The familiar five-gauge instrument cluster allows the driver to keep track of engine speed, vehicle speed, oil pressure, oil temperature, water temperature and fuel level. Aluminum door handles and trim pieces stretched across the dashboard. Overall the interior is a success, the supple leather, high-quality fit and finish is consistent with what you would expect to find on a top-of-the-line sports car. There was just one thing missing, cup holders. Neither example presented has this simple, yet handy option. The aluminum trim has breaks in two sections on the passenger side of the vehicle. 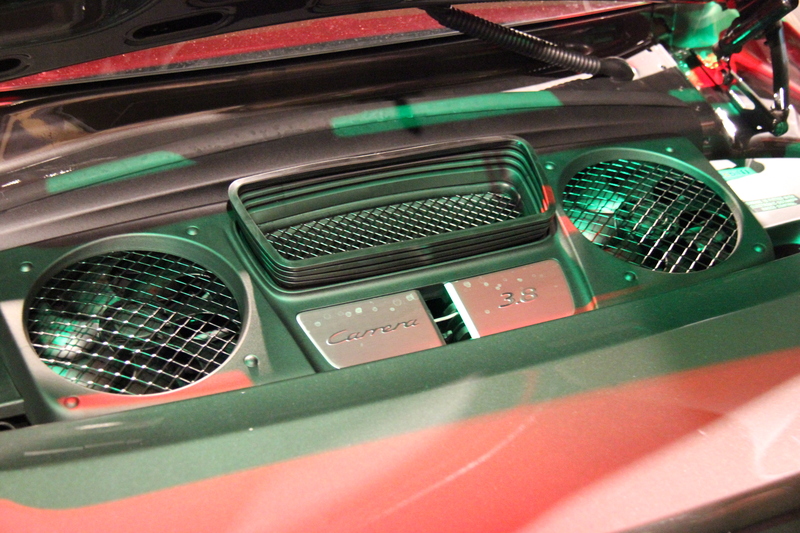 As seen in the 997 and Panamera, I expected these to yield to my touch, exposing a concealed cup holder. However I was mistaken. Although this might not be as important as other optional features, the ability to have a bottle of water properly secured, not rolling around on the seat or floor, while on a spirited drive is useful and practical, at least to me. Doubters continually question how much more innovation can be developed for a model that is now 47 years old, but Porsche seems to have done it yet again. They have adapted an age-old design with modern technology, performance and styling. 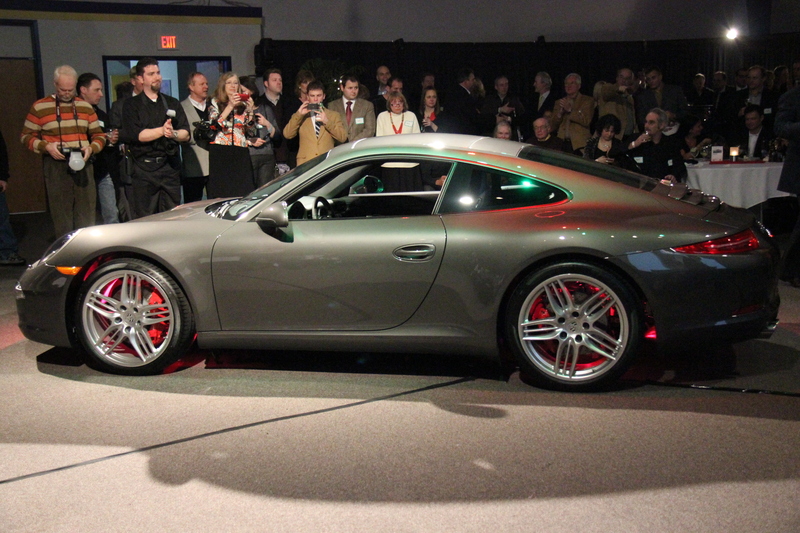 The 991 might not be the rawest 911 ever made, but it certainly lives up to the hype.